One of the rarest and most sought-after Dynamic Tools. 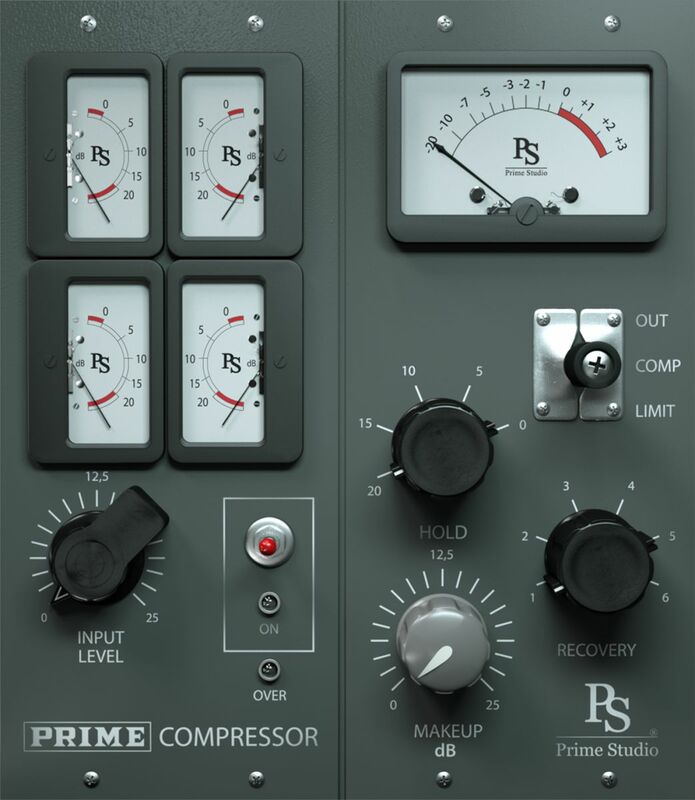 The Prime Studio Compressor is one of the rarest and most sought-after dynamic tools in the analog world, thanks to its characteristic compression. Easy and fast to use, it adds warmth and pressure to your tracks that can only be achieved with analog equipment. Control input, output, and compressor intervention with the classic VU meters. Trim your sounds with Makeup Gain, Hold, Recovery and switch from compression to limiting to suit your taste. As a channel insert, for parallel compression, summing or mastering, you have the choice.